Bring the taste of Italy to your table any night of the week with this fabulous and complete book of recipes. With dozens of starters, side dishes, breads, sauces and much more, it is the perfect cookbook any time you want to make something different. 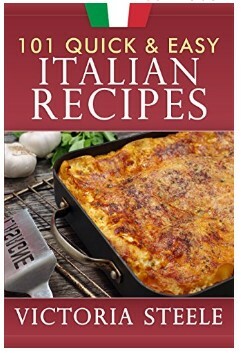 Amazon has 101 Quick & Easy Italian Recipes Kindle Edition for Free. Get your Kindle here, or you can download a Free Kindle Reading App for your computer or mobile device!